Jiang Yili is the author of Comparative Study between Buddhism and Hinduism. 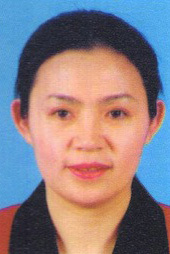 Dr. Jiang Yili was born in China, received her B.A. from Zhengzhou University, M.A. from the chinese Academy of Social Science & Peking University, and Ph.D from University of Delhi, India. She is currently Director of Political Section, the Embassy of P.R.C in Singapore. She has published several books and numerous articles on Indian religion, culture, politics and international relations.